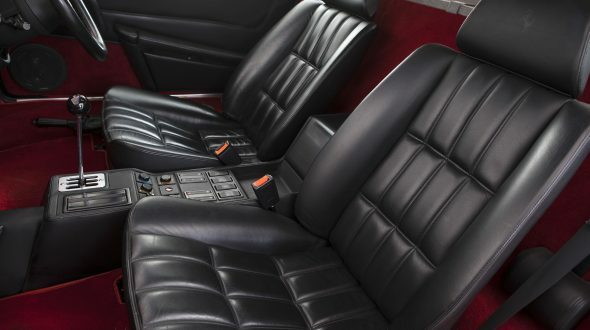 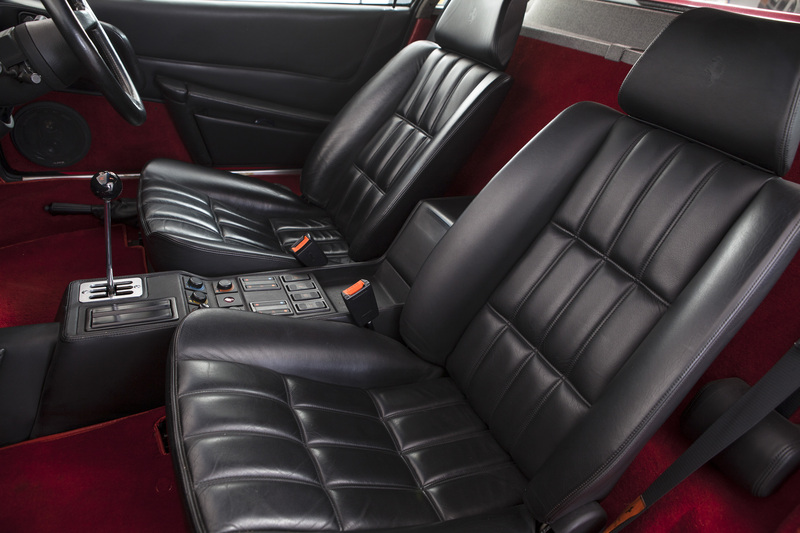 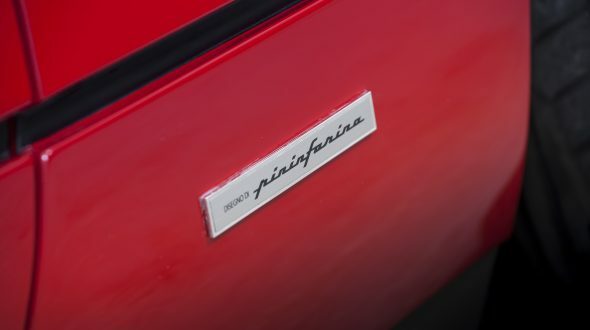 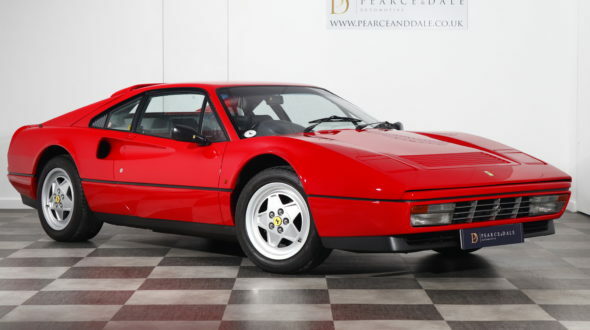 Produced between 1986 and 1989, the 328 series replaced the very successful 308 and was as such a heavily revised version of the 308 to freshen the range whilst development on its eventual replacement, the 348 continued – eventually replacing the 328 in 1990. 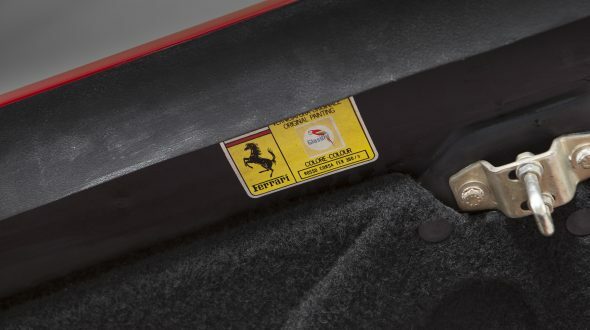 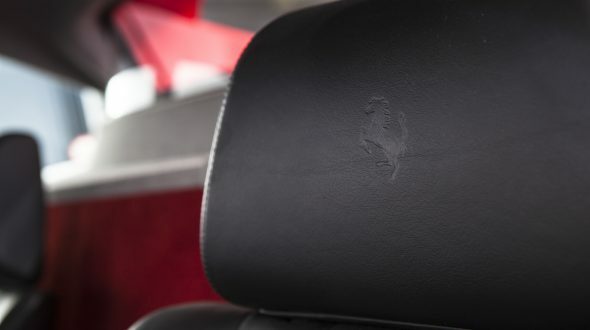 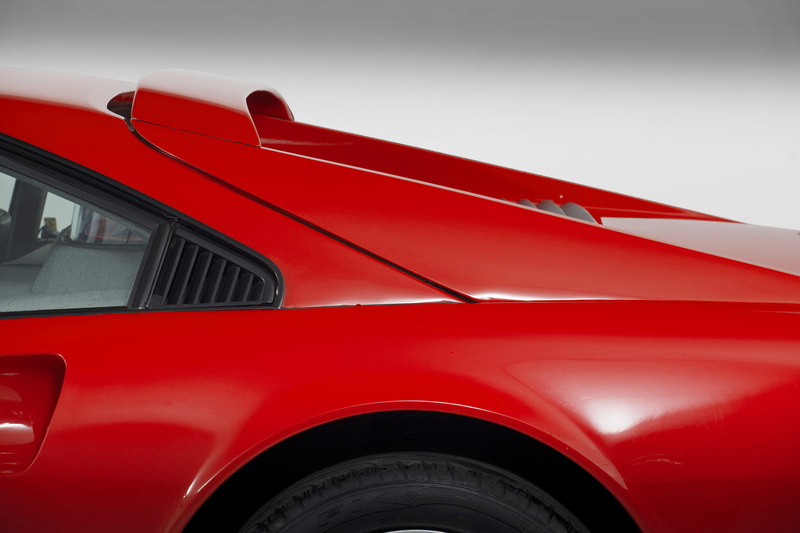 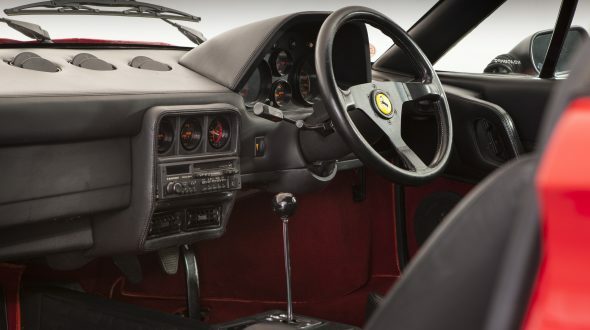 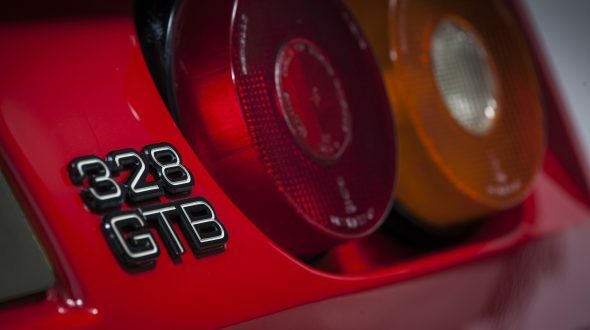 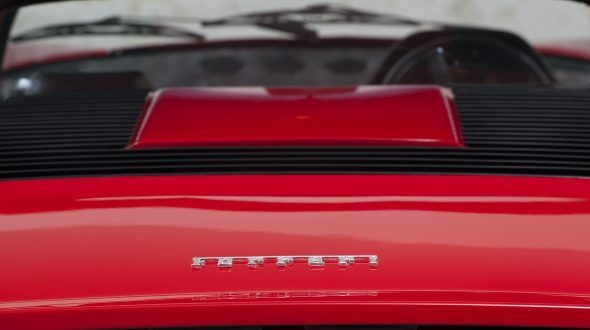 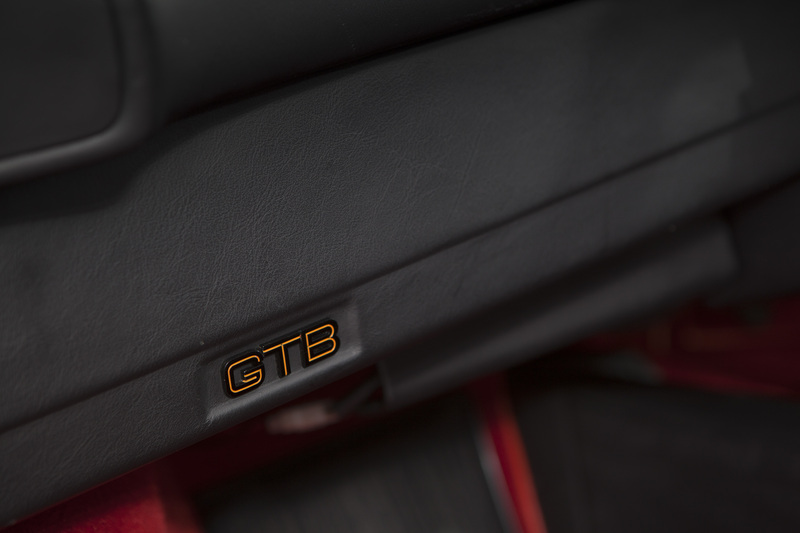 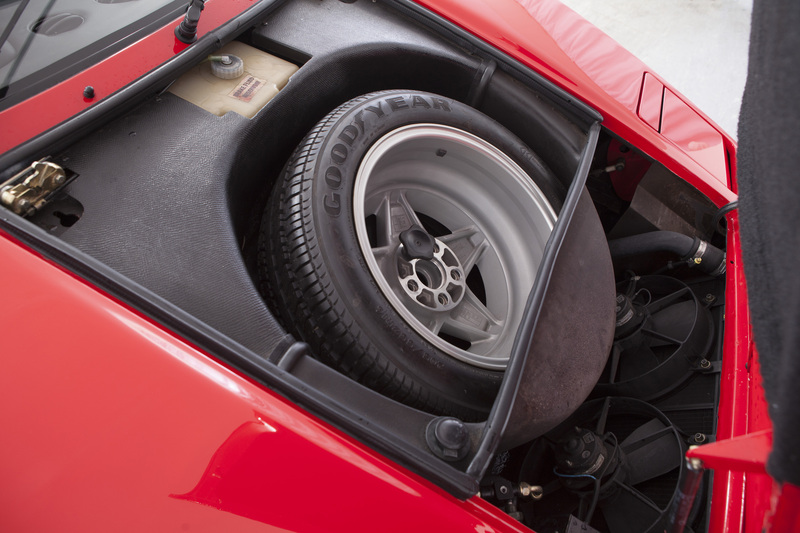 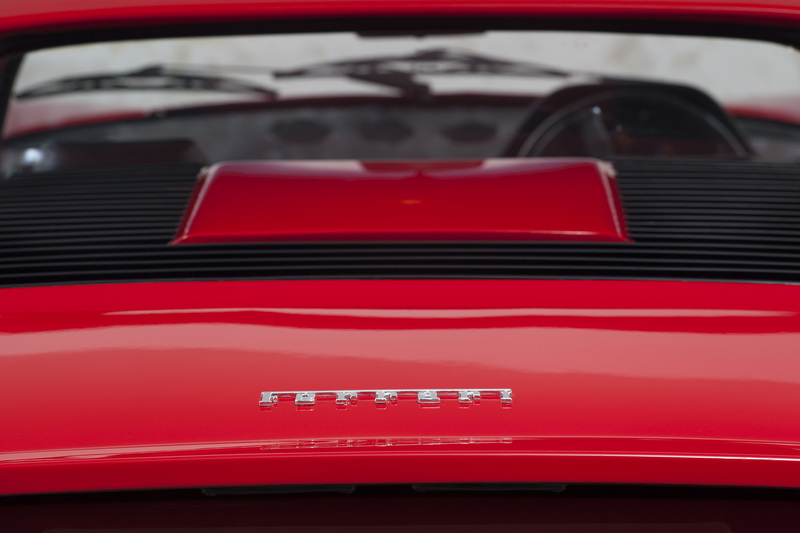 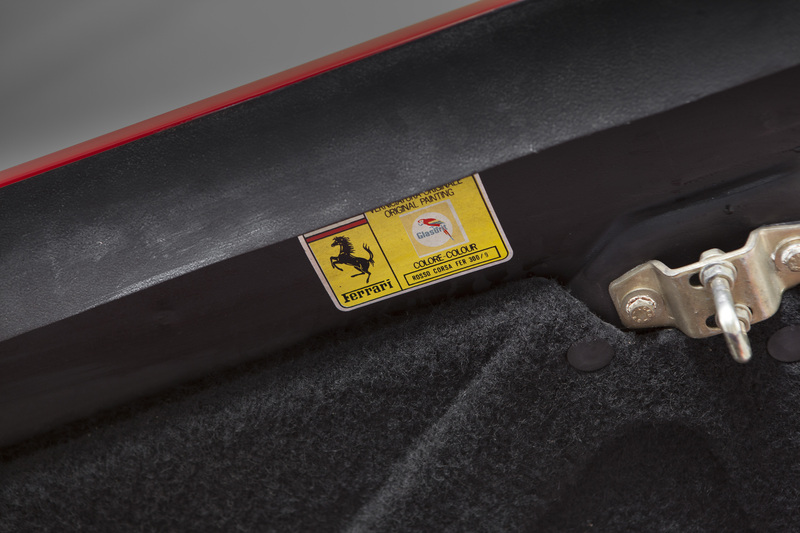 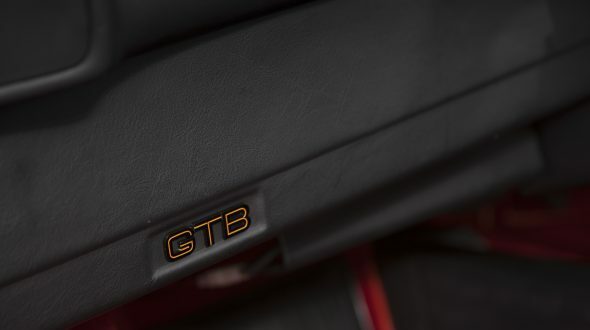 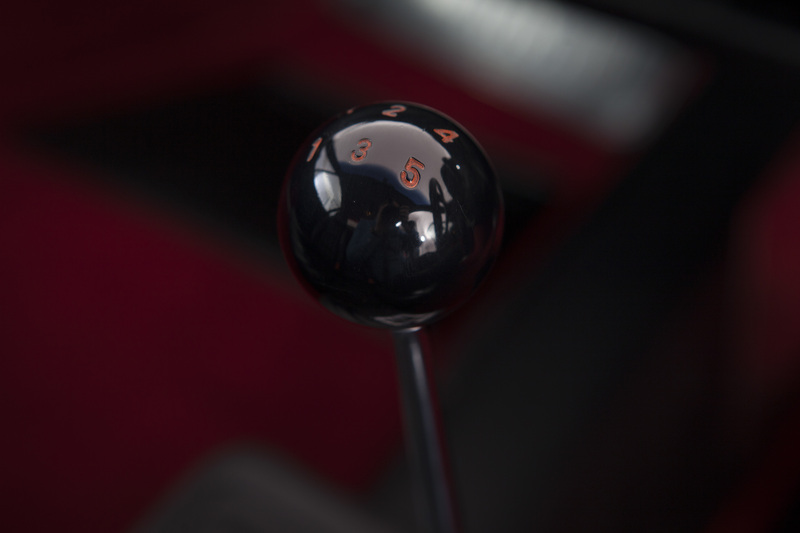 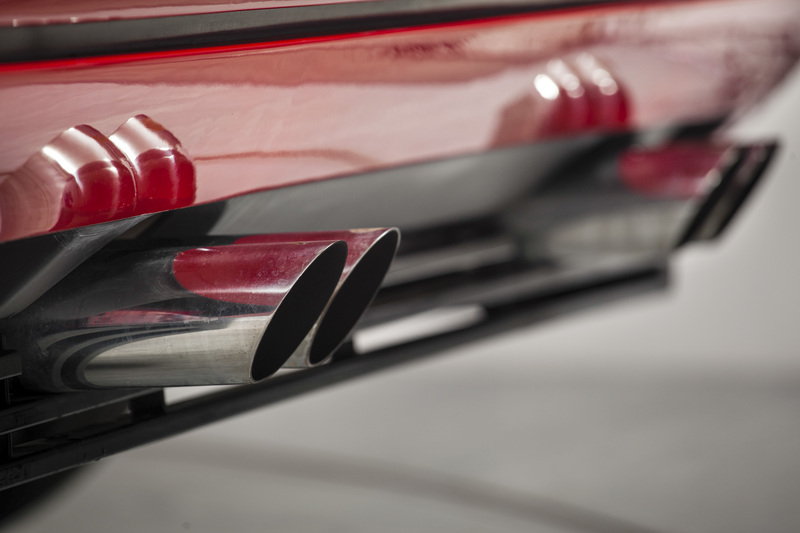 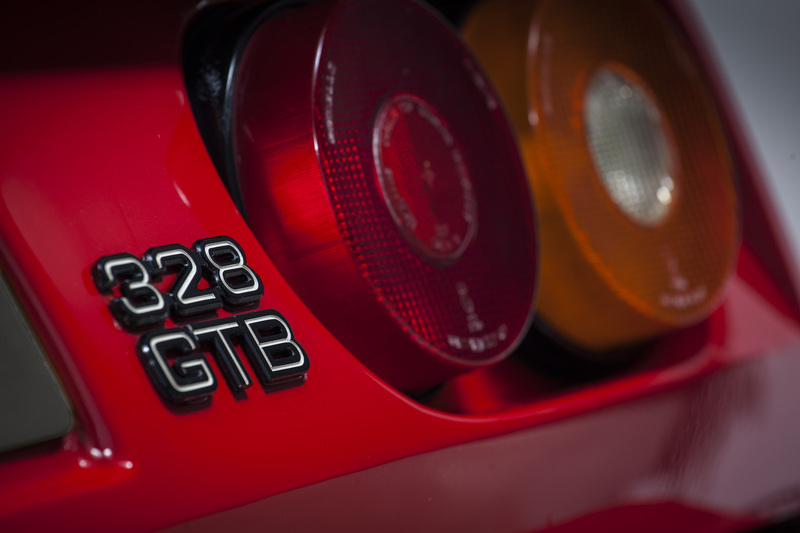 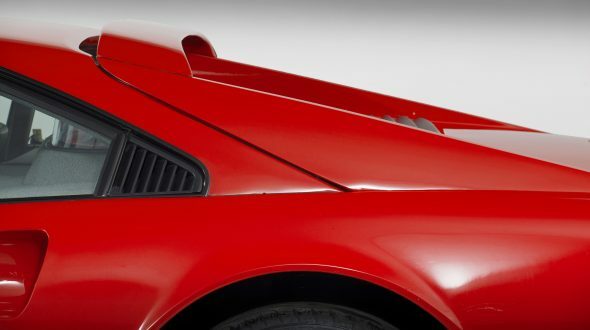 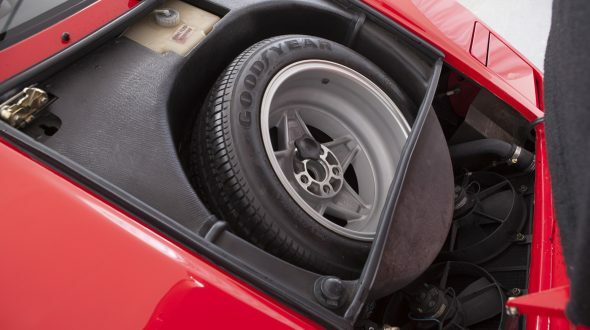 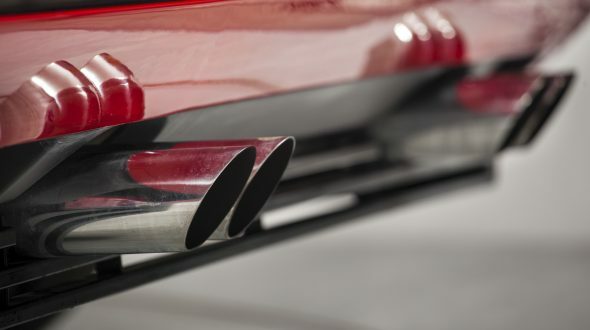 Available in Fixed Head GTB or Targa Topped GTS body styles – the most popular was the GTS with 547 UK units delivered, but the GTB has become the collectible car being much rarer, with only 130 units in total. 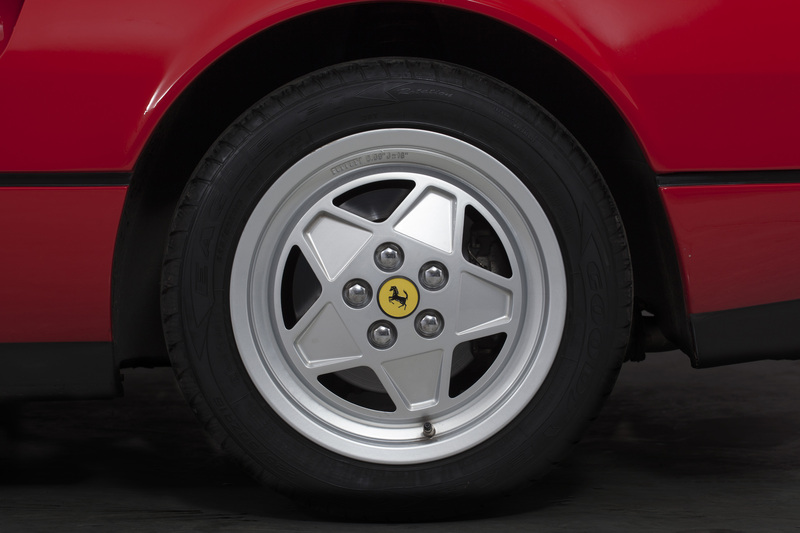 The addition of ABS brakes for the last year of production saw convex wheels fitted, replacing the earlier concave wheels and can be noticed at a glance, of the 130 units delivered, only 53 were fitted with ABS. 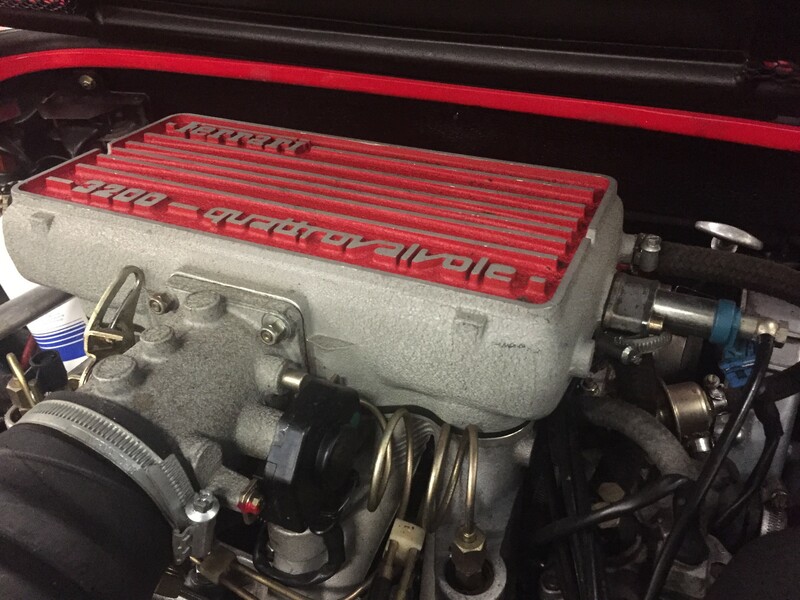 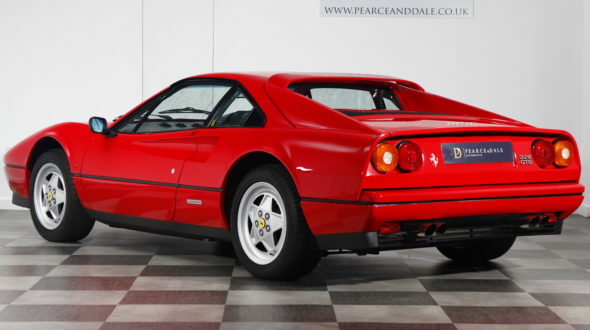 Supplied new by Graypaul to a local customer, this example is a very late registered 328 on a ‘G’ plate. 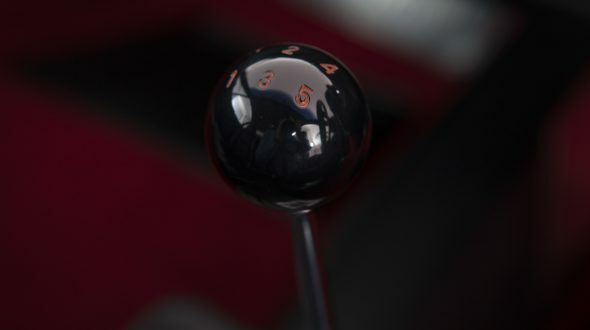 Changing hands a few times early in its life as was common at the time, followed by an owner every couple of years until 1999 when it was retained by the same keeper for 16 years. 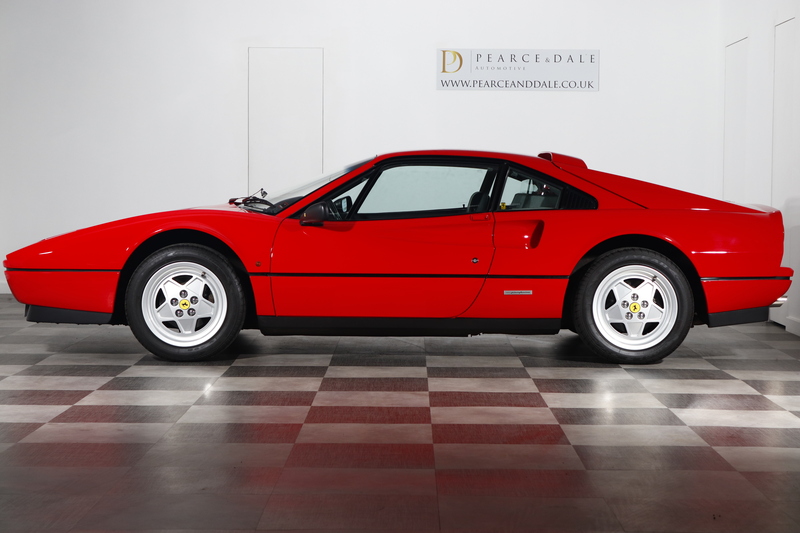 Two subsequent owners whom both purchased the car from Robin take its total owners to 9, an average of around one every three years overall. 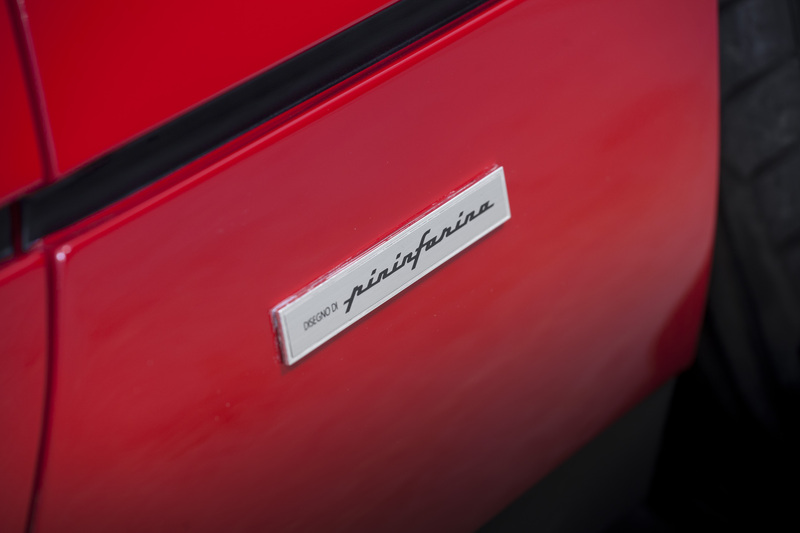 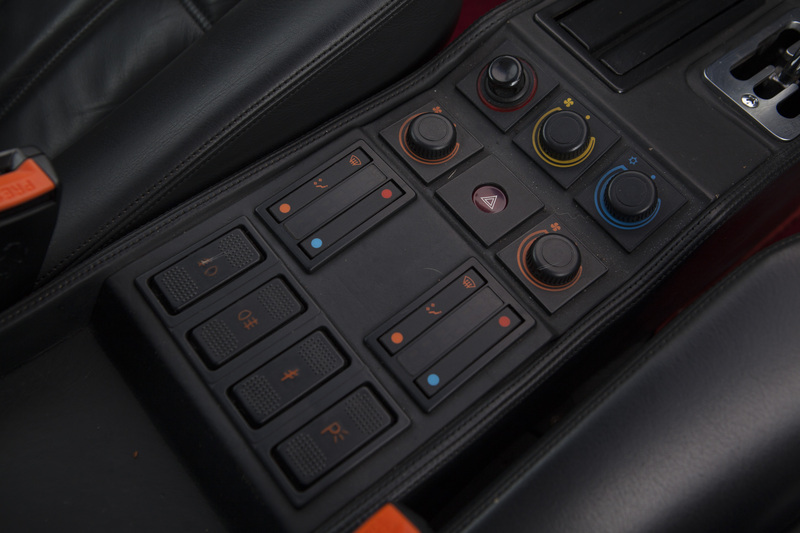 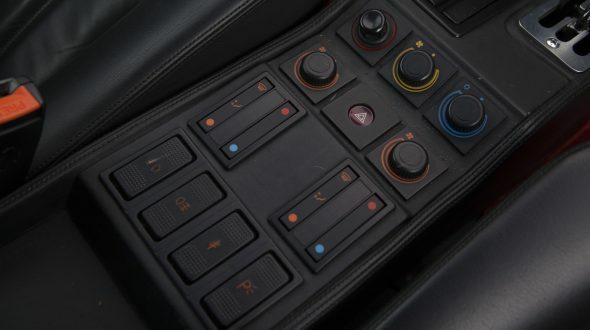 Along with the original colour choices, this example was specified with the only options available at the time, being Air Conditioning and Rear Aerofoil. 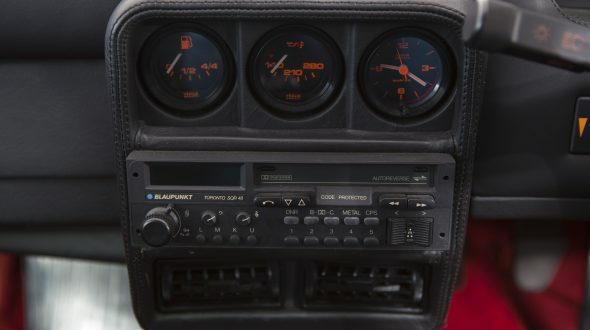 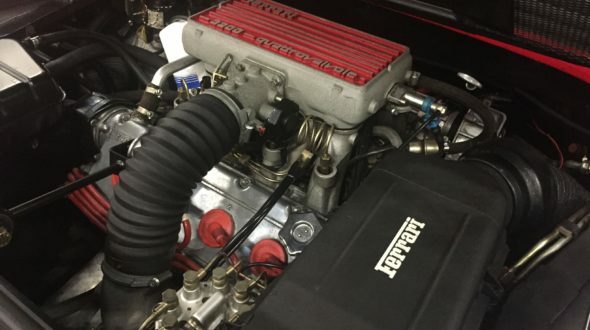 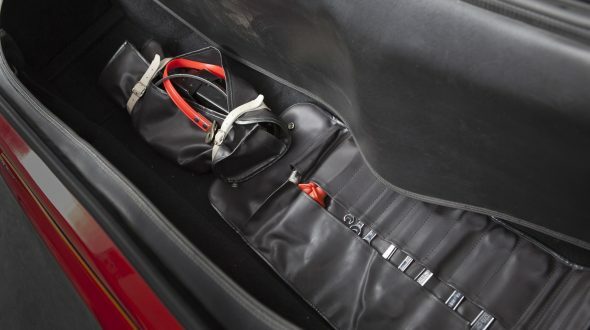 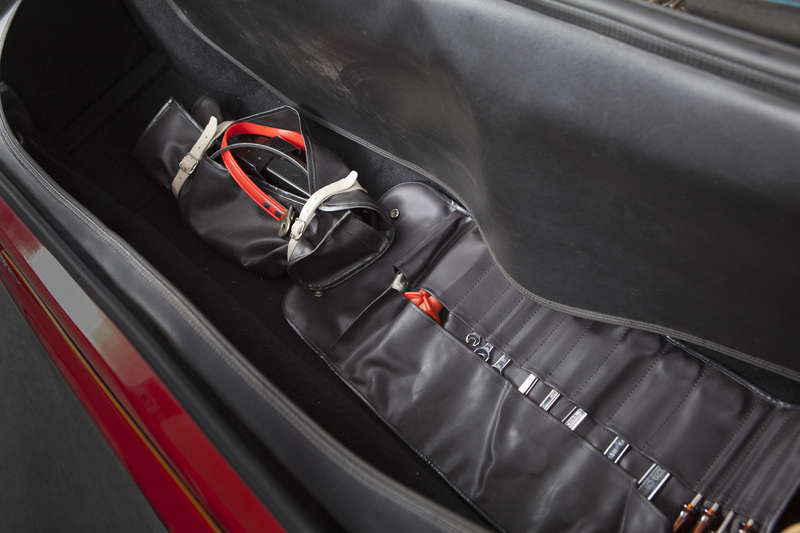 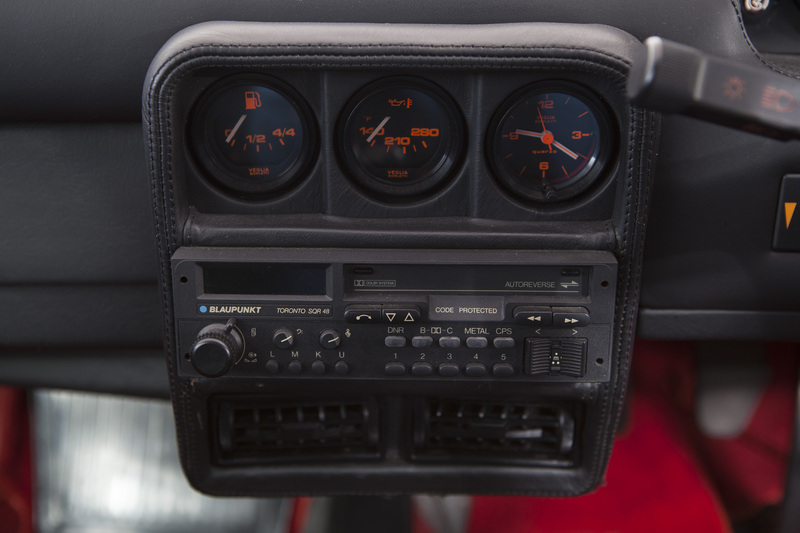 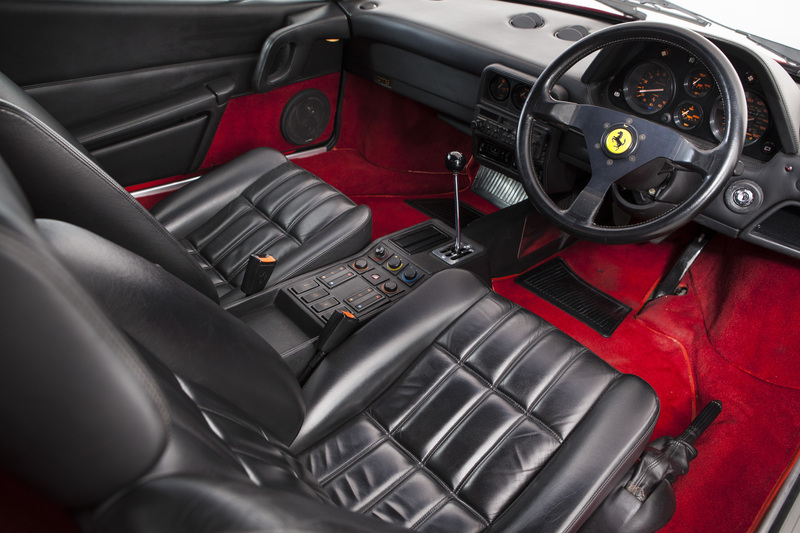 The 328 has led a very pampered life and comes complete with a spectacular service history, a full file of invoices and previous MOT’s along with its original leather wallet, book pack, service book and tool kit. 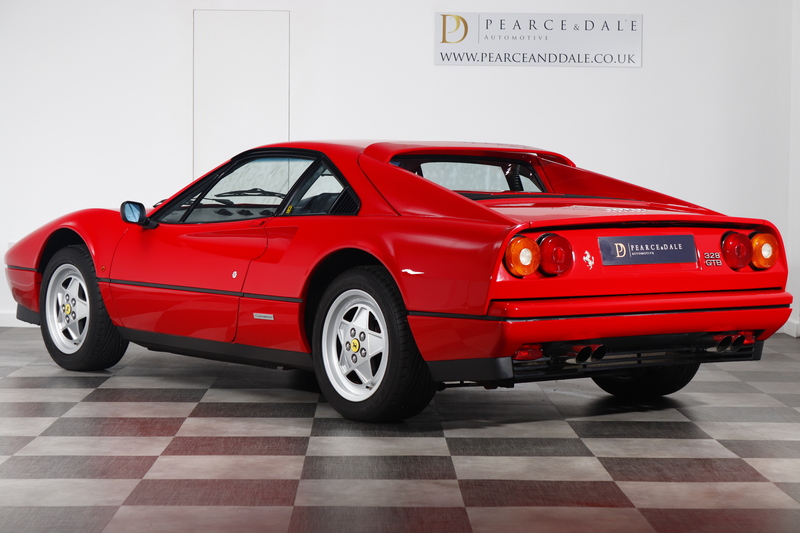 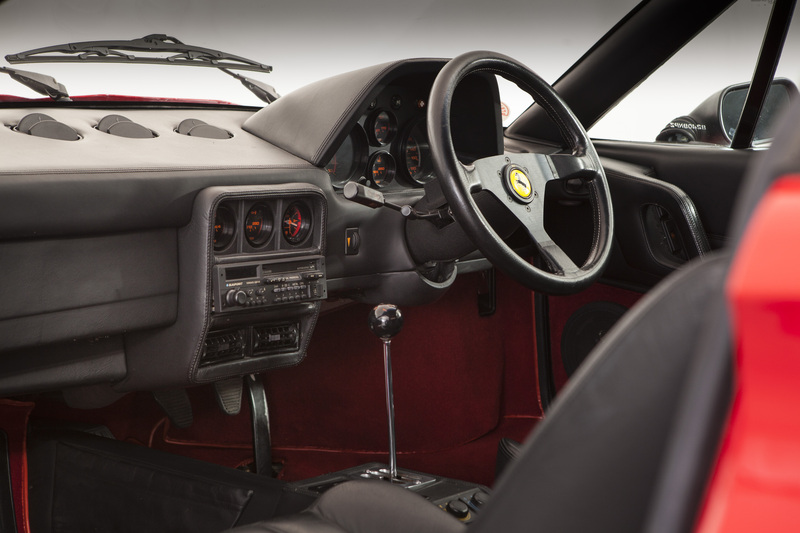 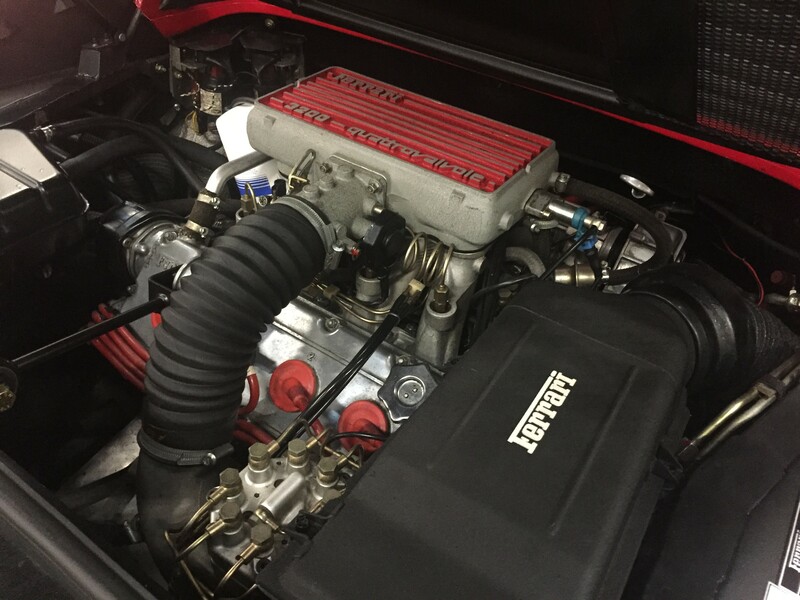 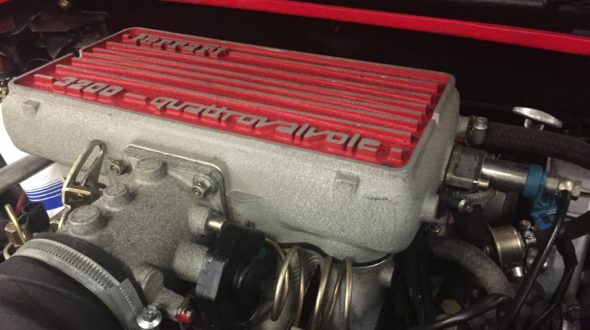 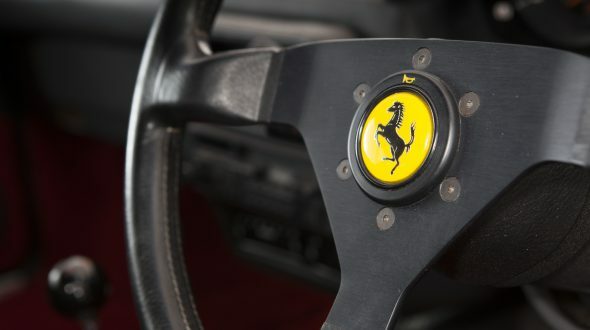 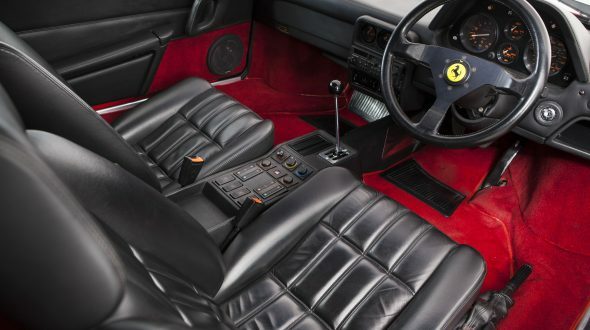 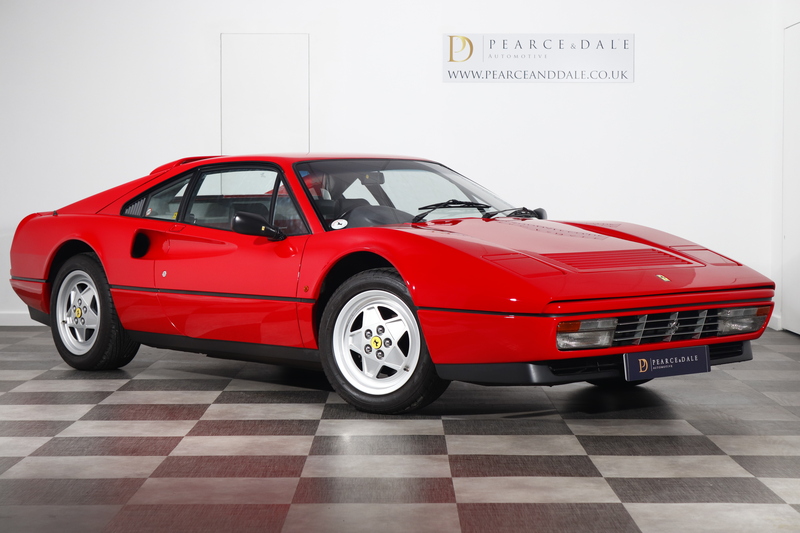 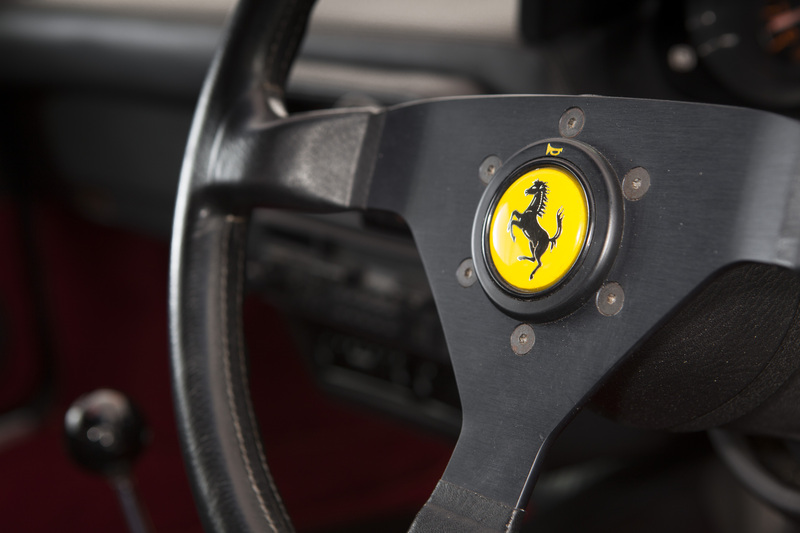 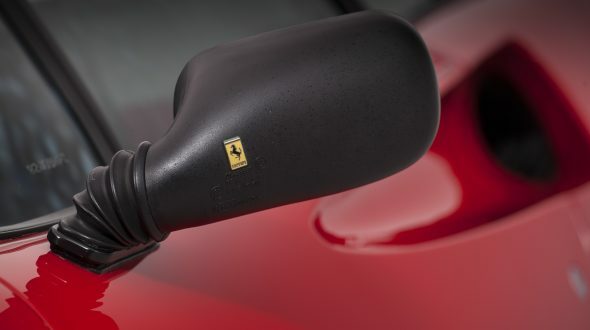 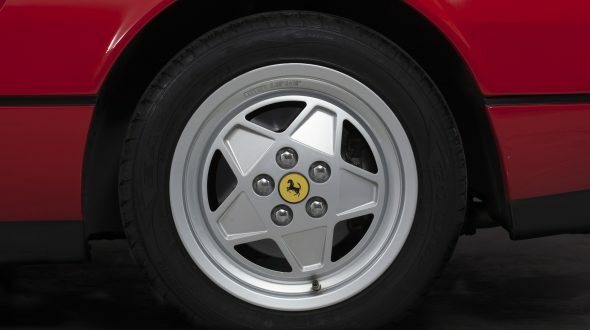 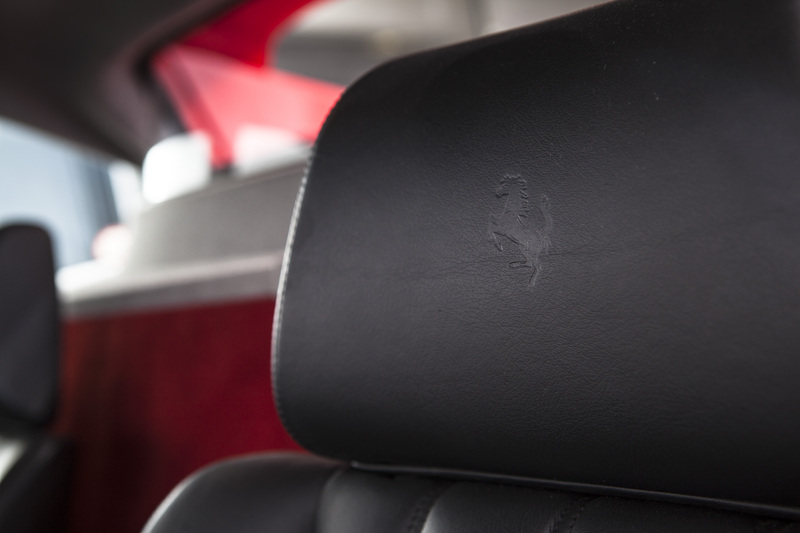 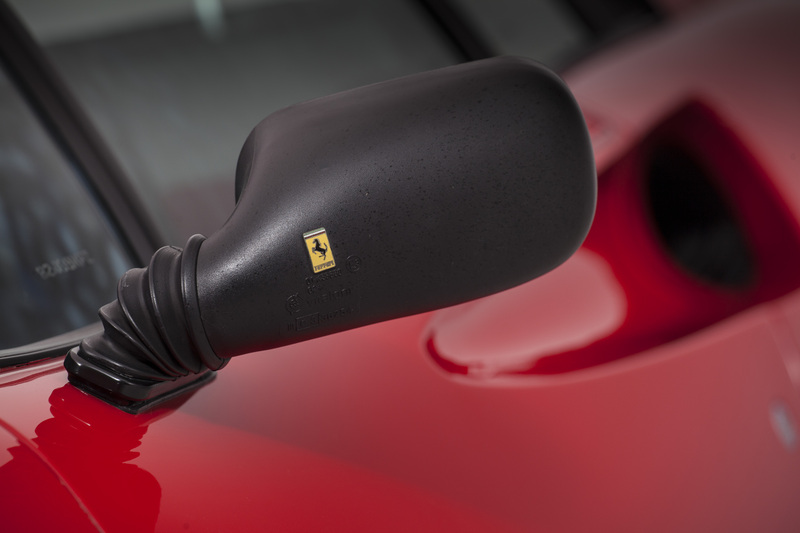 This 328 has also been Classiche Certified by Ferrari.